Yeah, I have no problem with this paid Fast Pass implementation at this park. Sometimes I wish the Fastpass system was just everyone gets like 4 passes per day to use anytime they want at any attraction they want. Sometimes the fastpass lines will be longer, some times they will be shorter, some people would use them in the morning, some at night, some throughout the day. I would be interesting. But yeah if tons of guests are selling passes and they can't control it then Disney might as well sell them instead. Disney's communism in the capitalism world officially ended as capitalism in a communist country. 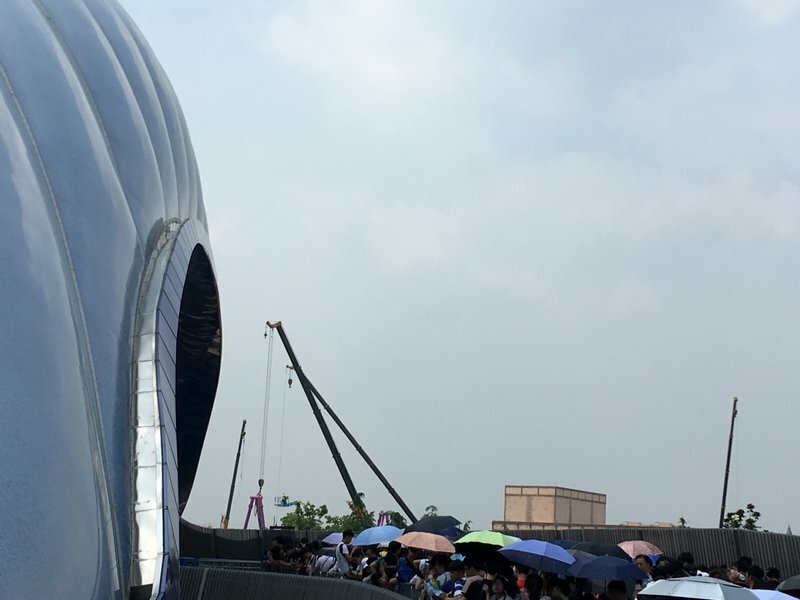 But this is the right approach in China given how awfully crowded the park can get and from the slower operation due to the amount of clueless guests, I would buy the premium pass in a heartbeat. 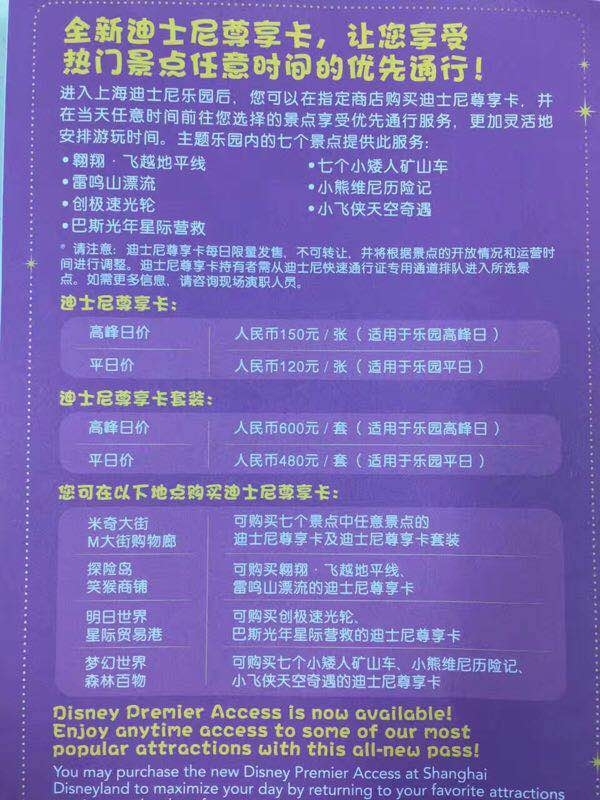 This is the flyer for the premium fast pass, sadly the CM I know didn't take a picture of the English section. It is available for Soarin', Roaring Rapids, TRON, Buzz Lightyear, Pooh, 7DMT and Peter Pan. One single ride costs ¥150 ($22) on peak days and ¥120 ($18) on regular days. And the package costs ¥600 ($88) on peak days and ¥480 ($71) on regular days. Very nice deal I would say given that the TRON fast pass was sold for ¥1400 ($206) at the black market. Wow, $200 for a Tron fastpass that's insane. Hilltopper39 wrote: Wow, $200 for a Tron fastpass that's insane. If people pay that much for 1 I guess these will sell out quite quickly. Hopefully not since then the cycle could potentially begin again with scalpers buying these up and selling those at ridiculous costs. 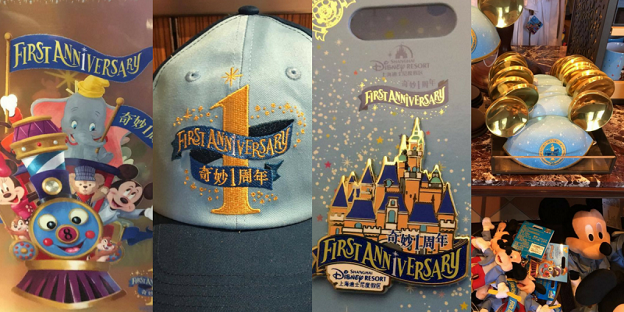 ShDL is celebrating it's First Anniversary with merchandise (and possibly food), available. Support of the Half Pipe is going up. The bottom track pieces are installed, saw it for 0.2 seconds on Tron's MCBR approach. 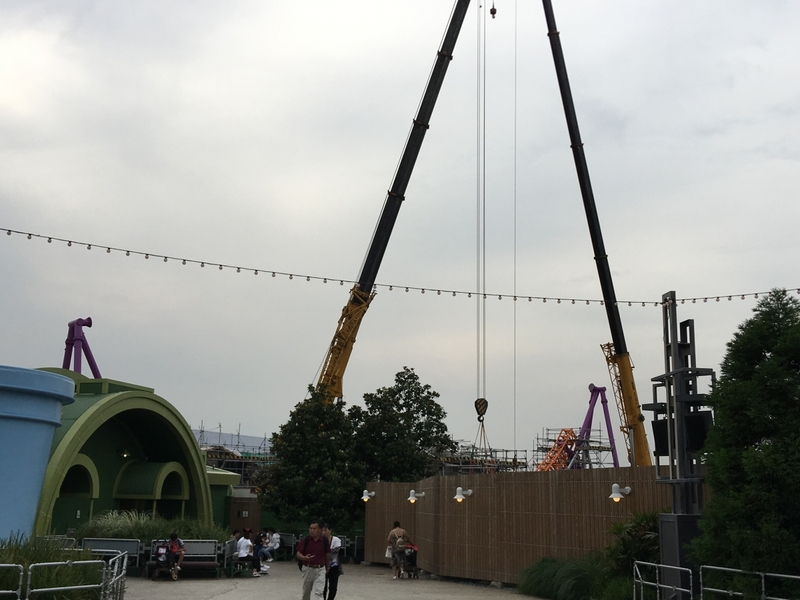 Does anyone know when toy story land will be opened? cymonster-rex wrote: Does anyone know when toy story land will be opened?